Children’s behaviour… as parents and carers we all know how this impacts on our lives. I have a question for you… how often, when a child has behaved inappropriately, does the exchange that follows actually take that opportunity to help them to learn. How often does it help the child to question their own behaviour and lay the paths for a more appropriate action next time? I’m not talking about the old fashioned, often harsh, kind of teaching and learning as represented by phrases such as: ‘That’ll teach them’ or ‘He’ll soon learn’. I’m talking about discipline that helps a child to see the consequences of their action, their impact on others and ways that this action may be avoided or amended for a more positive outcome in the future. If we imagine ourselves alongside our child, guiding them and supporting them then our response to their behaviour will be just that. It will be guiding and supporting. Yes, we do need to be firm and consistent. There are certainly times when ‘no’ has to mean ‘no’ and it is important that children understand, especially where safety is concerned. However, there are also times when it works better to be a little less authoritarian and hold back from being judgemental. We can work with the child to help them reflect on their behaviour and to agree an appropriate consequence. Wherever possible consequences should be matched to the misdemeanour, after all that’s the way it works in real life; If you break something it is down to you to repair it. If you lose something it is your responsibility to replace it, or to go without, if you make a mess you have to clear it up. On the other hand, if you work hard at something the result can make you and others feel proud and usually leads to positive outcomes. As our children mature, with our help, they learn about these consequences and therefore learn to think a little more and take a little more care before they act. These things may seem like a tall order if your child is still quite young but with caring respectful discipline, over time, this really can happen. One thing we need to be sure of, especially if we have younger children, is that we are not expecting our child to do something that they are not yet ready for. Just because the other children in the toddler group can pour blackcurrant juice without spilling or most of the children in their class can make a beautiful, home-made card without sticking it to their clothes does not necessarily mean that your child is being disobedient if these things do not fall naturally into their skill set. We need to help youngsters by building in success and praising them when they make steps towards these challenging tasks, however small. We need to avoid the temptation to compare them with others and focus in on celebrating what our child is good at. We most certainly must avoid humiliating them in front of others. All this will help them build greater confidence and self-esteem which in turn will result in their needing to behave in ways that demand our negative attention less frequently. Realistic…Choose which BEHAVIOURS are important for us to address. Results…Be sure the CONSEQUENCES are appropriate and linked to the actions. Respect… In DISCIPLINE, know that every encounter with our child shows respect and is an opportunity to learn, for them and for us! Join us for Ali’s lively yet thought-provoking parent talk BEHAVIOUR, CONSEQUENCES AND DISCIPLINE at RALEIGH SCHOOL on 18th October 2017 . Ali’s work inspires and empowers those who care about children, emphasising enjoyment and positive relationships for their learning and future. There has been an increasing emergence lately of social enterprises and charities campaigning for men to speak up and ask for help with mental health issues and for good reason: suicide is the biggest killer of young men. This positive growing awareness brings up another contested issue – are we giving fathers enough support? From reading WAVE Trust’s Conception to age 2 report we know these stages are crucial years for a child’s development. This is a profound period in which we can shape children’s lives and ultimately the world around them. We also know that pregnancy is a particularly important period for the well-being of mother and baby. Maternal stress, diet and drug misuse can have a lifelong impact on any child. Carefully looking after them is all too important. So – what effect can dad’s mental health have on this crucial period? A report from Learning lessons from serious case reviews shows one of the biggest problems with the mishandling of significant child maltreatment cases was marginalising the role of the father and missing the parents’ own needs. 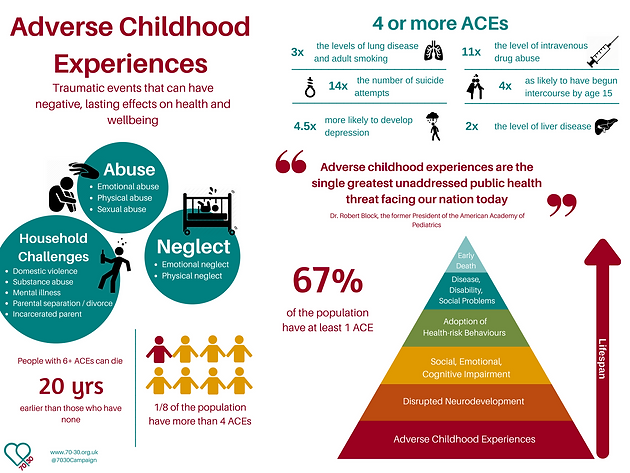 By failing to include men in the conversation around prevention and well-being, we are putting children at a higher risk of experiencing abuse or neglect. Unfortunately, men often face the stigma of being labelled (or labelling themselves) ‘weak’ when discussing poor mental health. This is despite dads having to face the pressure and rapid change of bringing a new baby into the world, and often being an emotional buffer for mum too. ‘I had come back from hospital with no real help, they didn’t want to admit I had male PND, if they admitted it they would have to admit it existed in men and would have to then treat men as well as women’. Promoting early screening and preventive support for both parents, the 70/30 campaign hopes to see more children, and families, given the opportunity to have a healthier start to life. How many of us are aware that dads can experience post-natal depression too? Take 5 minutes today to read through the signs here and ask a another father/male in your life how they are feeling today; let us know your thoughts and experiences by following us on @7030campaign with the hashtag #7030dads.